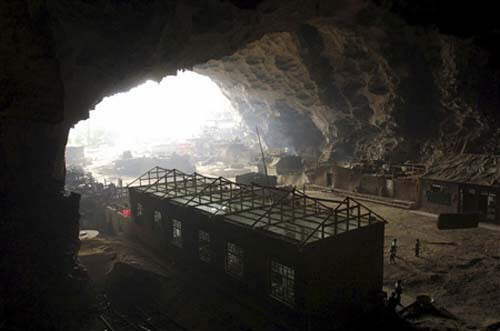 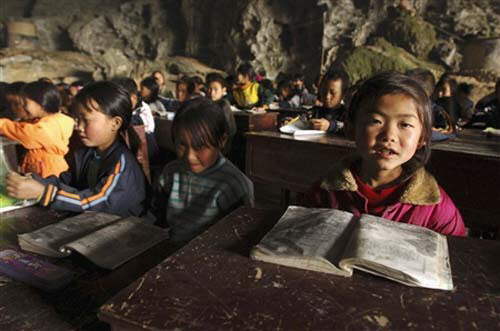 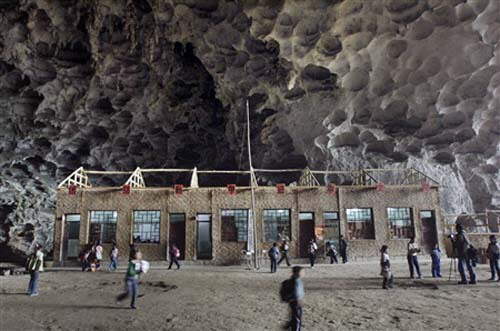 In southwest China's Guizhou province, a huge cave has been used for something extraordinary. 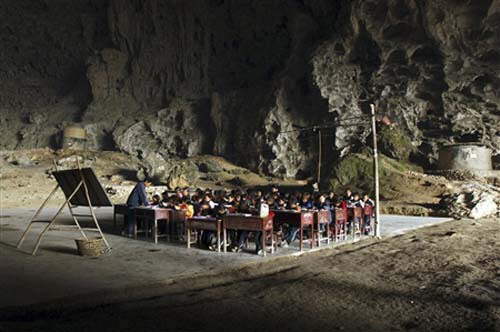 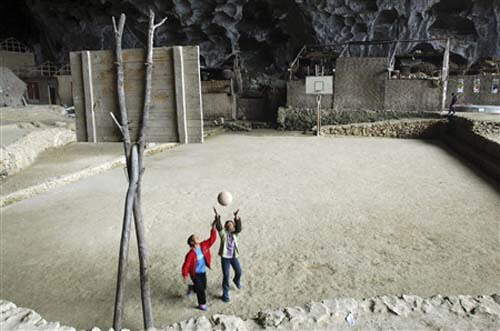 The cave, which is carved inside a mountain and was formed naturally over thousands of years by wind, water and seismic activity is now home to a primary school, complete with basketball courts, teaching rooms and small buildings. 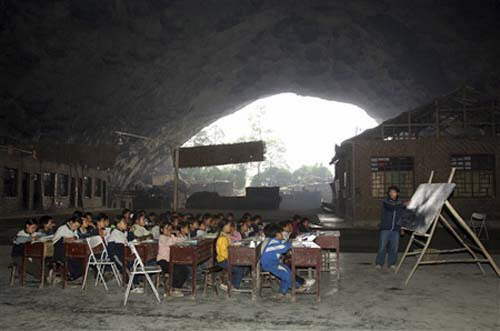 It seems that some rural parts in China are lacking in teaching facilities, but it might actually be fun to study in that kind of environment.